In the 1950's Carole King went door to door selling her songs there, even while attending James Madison High School. Prior to that Irving Berlin, George Cohan, George Gershwin and so many others walked these same streets and knocked on the same doors. Commodore Records was located nearby. This was all before the mass migration of music to the West Coast. I grew up listening to AM radio. 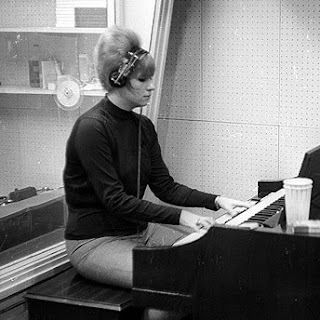 Some of my favorite songs were written by Ellie Greenwich who passed away yesterday at the age of 68. I will always remember The Dixie Cups "Chapel of Love" and can still sing the lyrics without error. She was one of the last to roam those fabled streets in search of a publisher. Her passing marks the end of an era in American music that will probably never be equaled. If you grew up listening to songs like "Hanky Panky"(Tommy James and The Shondells),"Leader of the Pack"(The Shangra-Las),"Doo Wah Diddy Diddy"(Manfred Mann),"Doo Ron Ron"(Ronnie and The Ronnetes),"And Then He Kissed Me", "River Deep Mountain High" (Ike and Tina Turner) and so many others, then you will miss her.